Have you entered into a contract recently via electronic communication? Did you consider whether the communications were legally valid? Historically, one would expect that a handwritten signature was a necessity of a valid contract. The reality is that the way we do business has changed markedly in recent years, and every day many people and businesses enter into contracts without exchanging hard copy documents evidenced by the parties signatures. This article looks at the validity of electronically conducted contracts with or without signatures. e-commerce contracts require an offer, acceptance and an exchange of value, all of which can be recorded electronically. There are however a few things to be wary of. Entering into contracts via text, email or social media may be convenient, but they carry a higher degree of risk. These communication exchanges are often quick and scant consideration can be given to the conditions. This can lead to an unclear and uncertain agreement, and possibly not the agreement you thought were agreeing to. Its always best to sit down with the other party, discuss all possibilities and contact us to draft up a written agreement for you that deals with those possibilities and other items you may not have thought of. This will also enable you to confirm the identity of the person you are communicating with. There are some documents, however, that must be physically signed in hard copy. These documents include Powers of Attorney, or Enduring Powers of Attorney; affidavits; Wills; and requirements to produce or serve a warrant of search or seizure. The Property Law Act 2007 also requires that some specific property contracts be in writing and signed. These include the sale and purchase of land; trusts that relate to land and take effect in the lifetime of the settlor of the trust; and contracts of guarantee. Although a signature isnt a requirement for some contracts, its a useful tool to prove the parties intentions to enter into a contract. But how can you sign electronic documents? Its possible to print out documents and then physically sign them. But its also possible to sign the document electronically with an e-signature. An e-signature is a digital image of your signature thats then inserted electronically onto the document. The Electronic Transactions Act 2002 has paved the way for e-commerce contracts. It enables an e-signature to be accepted provided certain requirements are met. An e-signature must clearly and sufficiently identify the person signing, and clearly and sufficiently indicate the person signing approves of the information to which the signature relates. The signature must also be appropriate and reliable given the purpose and circumstances in which the signature is required. Where a contract must be witnessed the same requirements apply to the e-signature of witnesses. Its important that if you enter into an e-commerce contract you are aware of whats necessary to complete those contracts. If you are planning on entering into an e-commerce contract and want to use an electronic signature make sure the signatures used meet the electronic signature requirements. If the signatures fall short of the requirements, the contract may be invalid and, ultimately, result in financial loss. If you are unsure of the requirements we can work with you to make sure your contract is valid. A power of attorney allows you to appoint someone (the attorney) to look after your affairs. Its a common mistake for company directors to think their personal attorneys can look after a companys affairs in their absence. This article looks what business people should do if they anticipate enforced absences from their company. Youre a sole director and you plan to be overseas or in hospital. Someone must look after your affairs during your absence. The solution appears deceptively simple: ask your lawyer to draw up a power of attorney which gives someone you trust (the attorney) the authority to act legally on your behalf. You expect that your attorney will be able to wear all the hats you wear. When you own and operate your own company you wear many hats: director, employee and shareholder. On a day-to-day basis these distinctions dont affect how you conduct your companys affairs. Its your business. Its your livelihood. Its personal. So its a common mistake for company directors to think their personal attorneys can look after their companys affairs while theyre away. The following example should unravel the confusion. Imagine you have a friend who needs surgery and appoints you as her attorney to look after her affairs during her recovery. Your friend is also the director of a publicly listed company. If your instincts serve you well, you wouldnt assume you could attend the next company board meeting and vote on important strategic and financial decisions. Your instincts tell you that those sorts of company directors are voted onto a companys board by shareholders because of their personal attributes: acumen, experience, personality and expertise. The law reflects these understandings and applies them to all companies: big or small.  The law does this because, as a general rule, those who have legal obligations of a personal nature should not delegate their duties to an attorney. Your intuition also tells you that your attendance at a board meeting would be unfair to shareholders. The law also reflects this instinctive need to protect shareholders. The purpose of a limited liability company is to give shareholders (i.e. investors) a limit on their liability (equal to the price for their shares) should things go wrong while giving them a fair degree of influence over their investment. For example, they choose the directors and the directors cannot allow the company to enter into major transactions or alter shareholders rights without sufficient shareholder approval. This balance works because the law treats a company, for business purposes, as if it was a real person. The shareholders own it and the directors are responsible for the day to day management. This will all seem rather artificial if youre the sole director and principal shareholder of a smaller company. But if you enjoy the benefits of trading through a limited liability company its important to acknowledge all the nuances that come with it. the leasing of a property). Again, this solution appears deceptively simple. The companys attorney will be able to conduct the companys affairs as if the attorney has the directors approval. And if the companys actions suggest a breach of the directors duties to the shareholders or creditors the director may be held responsible. So its important to appoint an attorney you can trust. Its also vital to talk with us about the nuances of company law. * The Employment Relations Authority members will be required to give an oral decision, or indication of its preliminary findings, at the conclusion of an investigation hearing. * Flexible working arrangement requests are to be extended to all employees when their employment begins. * Greater scope for employers to withhold information, particularly where information is about an identifiable individual other than the affected employee; evaluative or opinion material compiled for the purpose of making a decision that will, or is likely to, have an adverse effect on the continuation of the employees employment; or about the identity of the person who supplied the evaluative or opinion material. * Rather than rest and meal break entitlements being decided by reference to the hours worked by an employee, the amendments simply require employers to provide their employees with a reasonable opportunity for rest, refreshment and attention to personal matters. Also, the obligation to provide breaks will not have to be met where employers cannot reasonably do so, having regard to the nature of the employees work, for example, an air traffic controller. The ERAB also contains changes to Part 6A (continuity of employment provisions) and the collective bargaining provisions of the ERA. A copy of the ERAB can be found here. * Would cause detriment to a party if it were applied, enforced or relied on. It will be an offence under the FTA for a person in trade to apply, enforce or rely on an unfair contract term with the maximum penalty per offence for companies being increased to $600,000. It would seem, however, that an offence wont be committed by a party unless they continue to use a term in a standard form consumer contract after its been declared unfair by the court. Generally, what your employee does outside of their working hours usually stays outside of working hours. The exception is where your employees conduct impacts on your reputation as an employer or gives cause for concern about your employees suitability. The Employment Relations Authority recently considered such out of work conduct in deciding whether the dismissal of Mr Hallwright (a senior investment analyst at Forsyth Barr) was justified following his conviction of causing grievous bodily harm with reckless disregard for hitting another motorist with his car outside of work hours. The Authority considered that while Mr Hallwright had the ability to perform some elements of his job, his media profile had been tarnished by his conduct and he could not continue with the public-facing aspects of his role. Also, as Mr Hallwrights duties were carried out at a senior level, his own reputation, integrity and behaviour were relevant to the overall perception of the way Forsyth Barr conducted its business, and therefore he had bought his employer into disrepute. This case shows that there must be a clear link between an employees out-of-work conduct and their employment to justify disciplinary action. The conduct should also relate to the employees ability to do their job. Hallwright v Forsyth Barr Ltd  NZERA Auckland 79.